Old days are really golden days. Most of the time people look back or cherish their old days as nostalgic or romanticized days. But, these are not all about the old days, there are something remaining too. 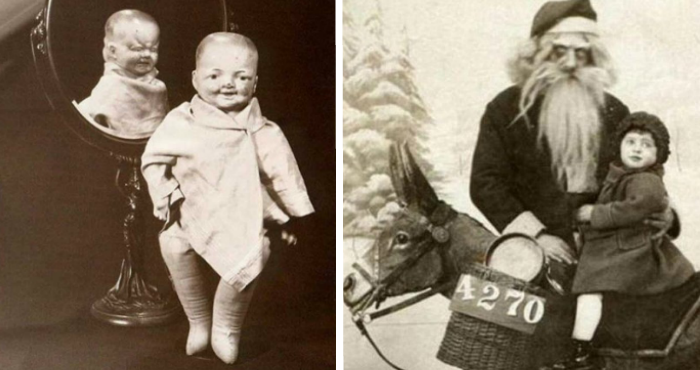 In fact, things used to be downright terrifying! Can’t believe? 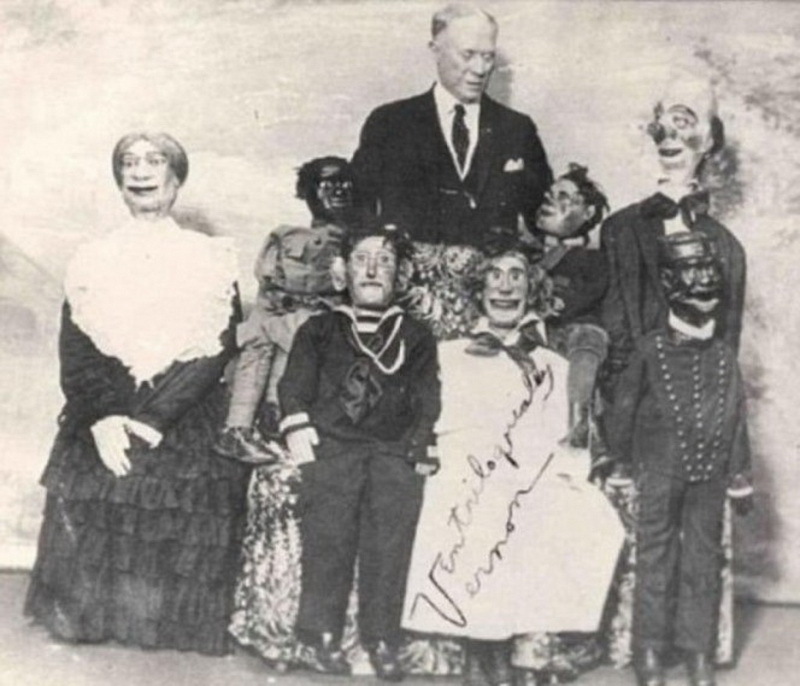 Well, the list below contains some creepy pictures. So, let’s catch them one by one. 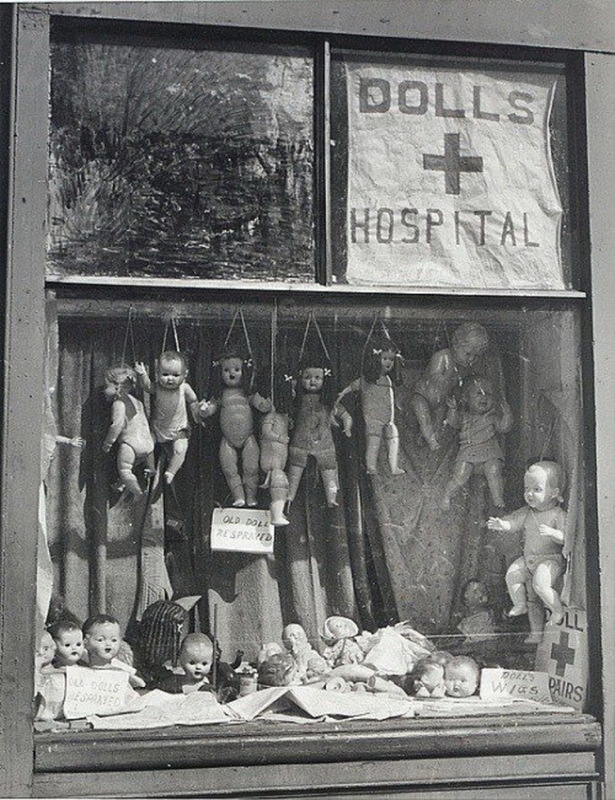 #25 A doll hospital should never be creepier than a human one. 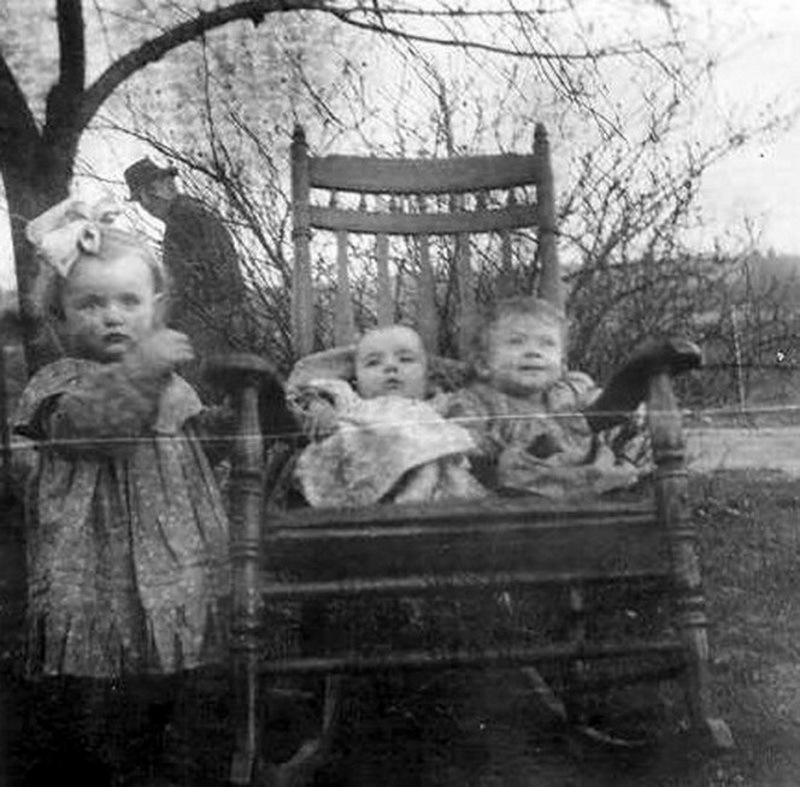 #24 These are probably just normal kids playing outside, but it definitely seems like there’s something sinister at hand. 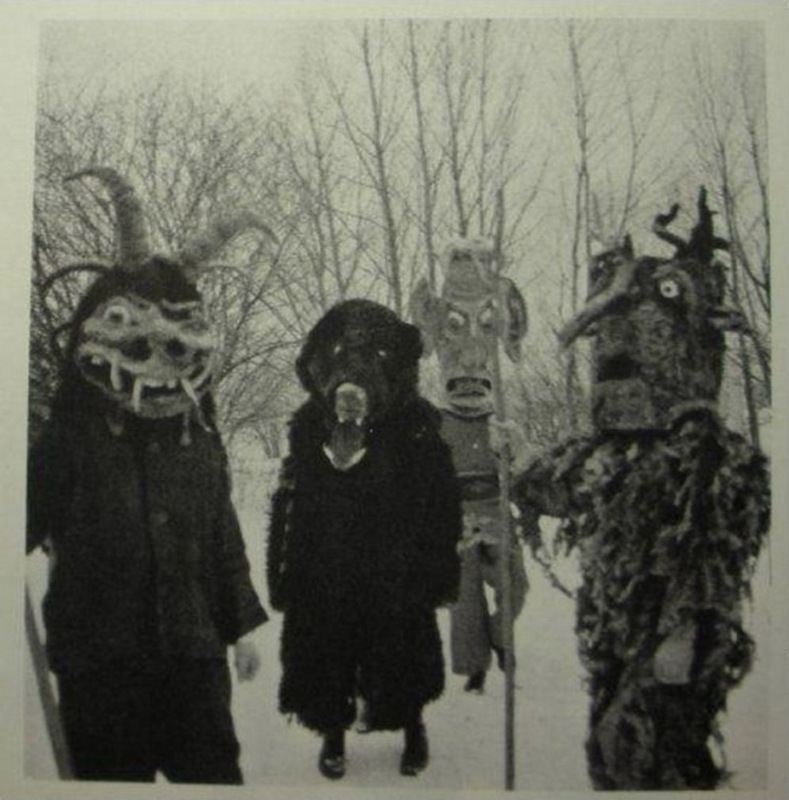 #23 omeone should bring these costumes back for Halloween next year. 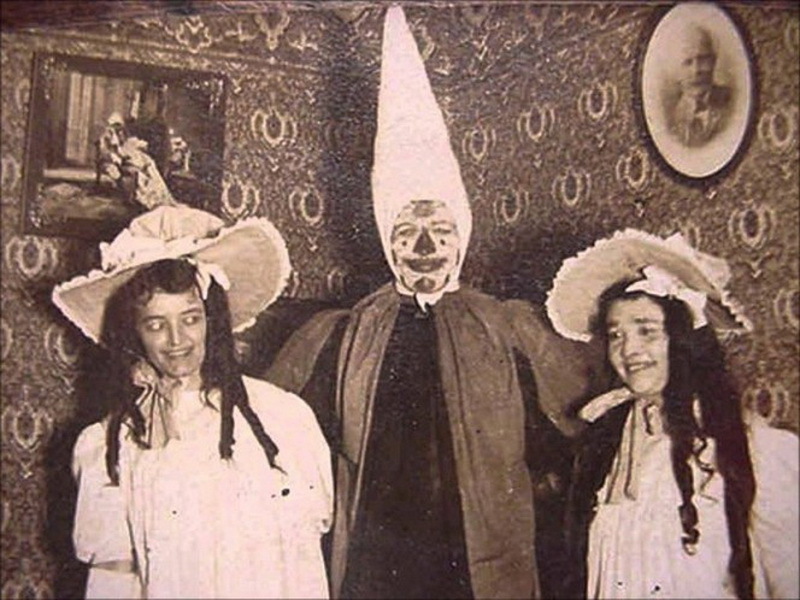 #22 Speaking of Halloween costumes, these might be so unsettling that they’re best left in the past. 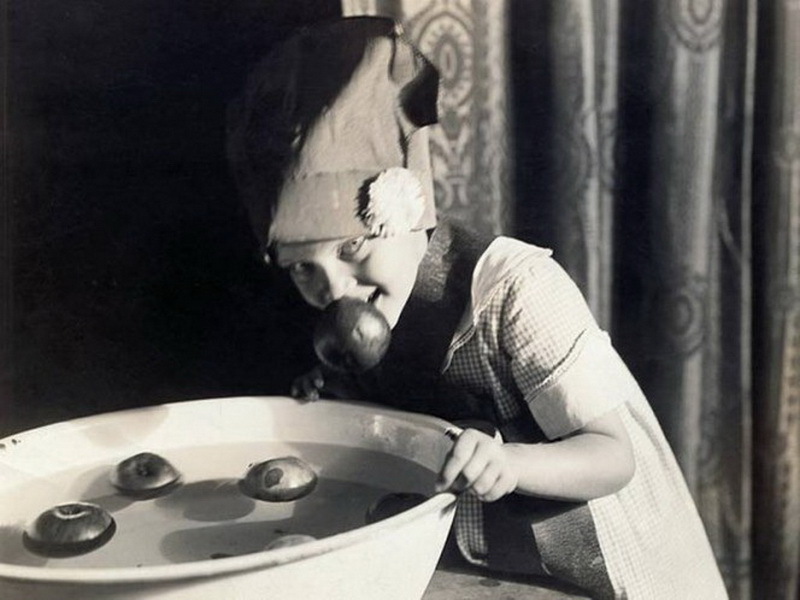 #21 This should just be a girl bobbing for apples, but what’s that sinister look in her eyes? 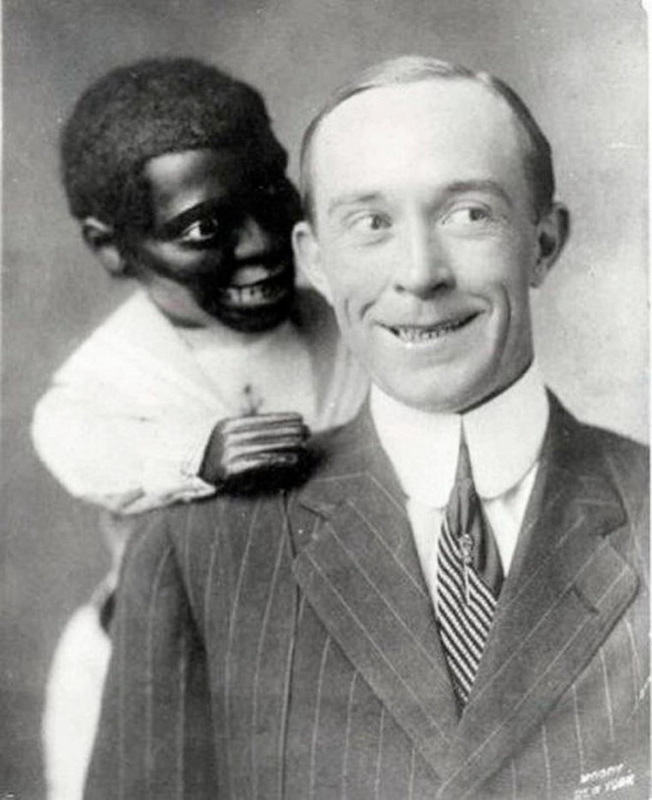 #20 Are ventriloquist dummies ever not creepy? 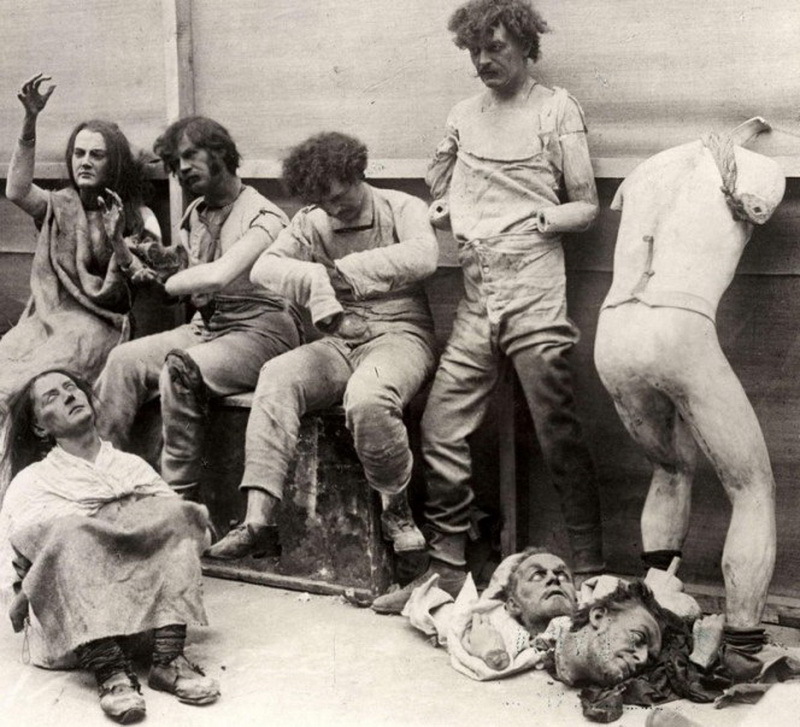 #19 This is what happened after a wax museum caught on fire. 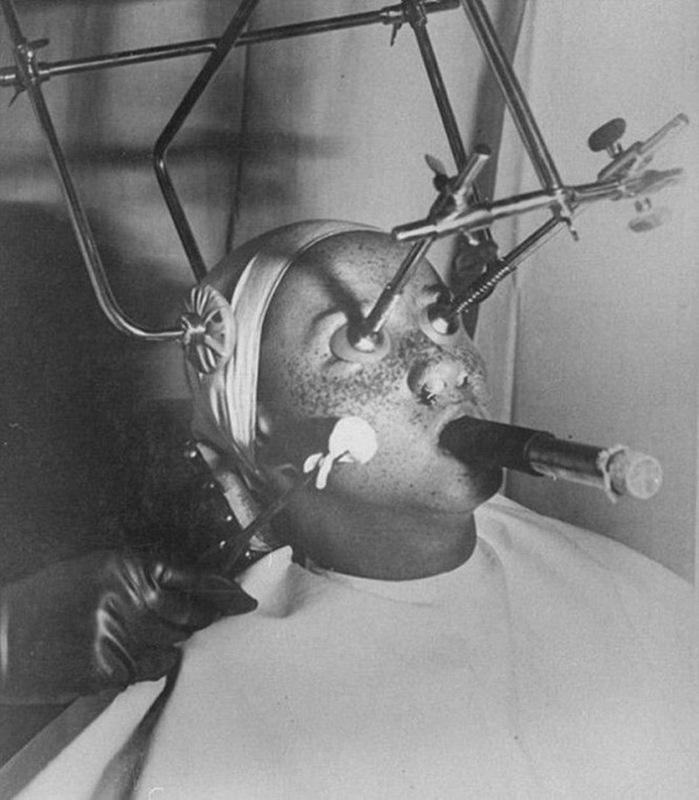 #18 This woman went to the beauty salon to get her freckles removed. It does not look like it worked out. 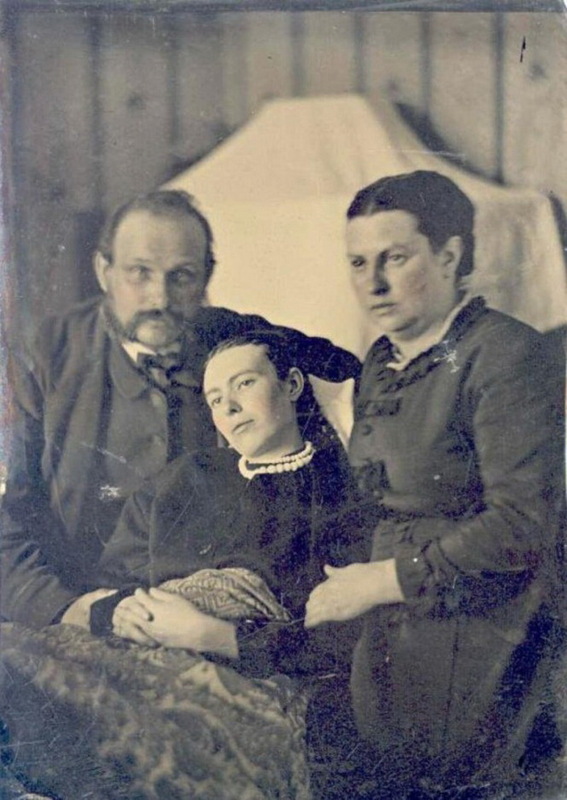 #17 The girl in the center of this photo—the daughter of the man and woman next to her—is actually dead. This photo was shot posthumously. 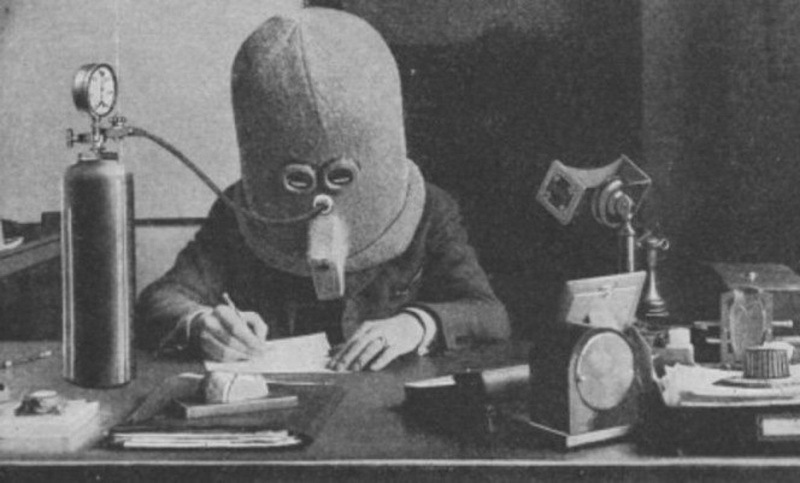 #15 This helmet is meant to prevent the writer from getting distracted. #14 Ella Harper was born with a rare genetic condition that curved her knees in the opposite direction. 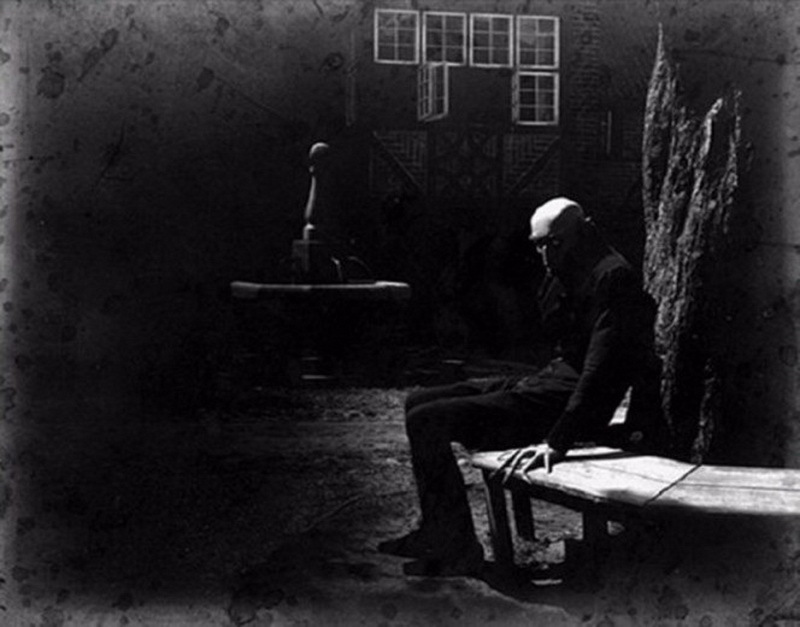 #13 A shot from the set of the classic silent horror film Nosferatu: A Symphony of Horror. 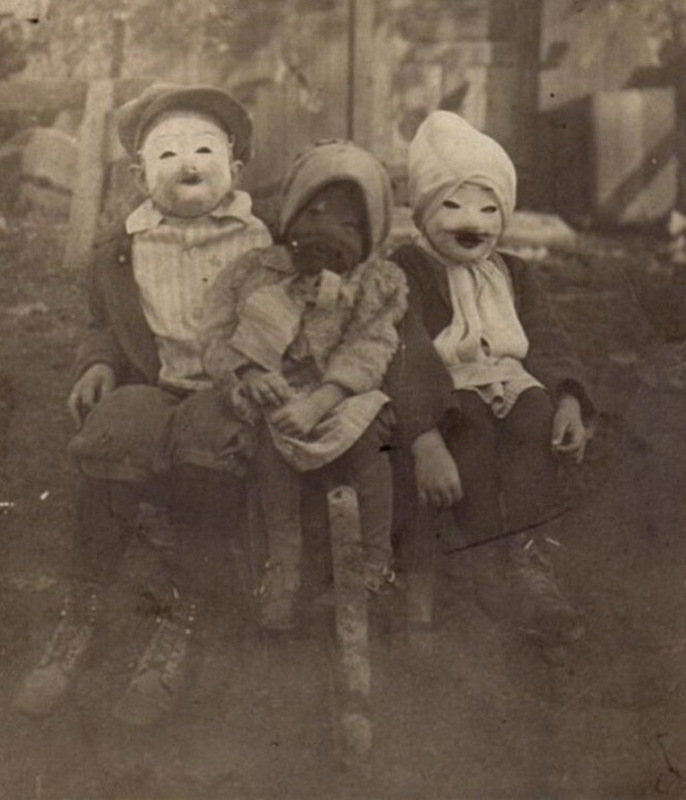 #12 More terrifying Halloween costumes to give the kids nightmares. 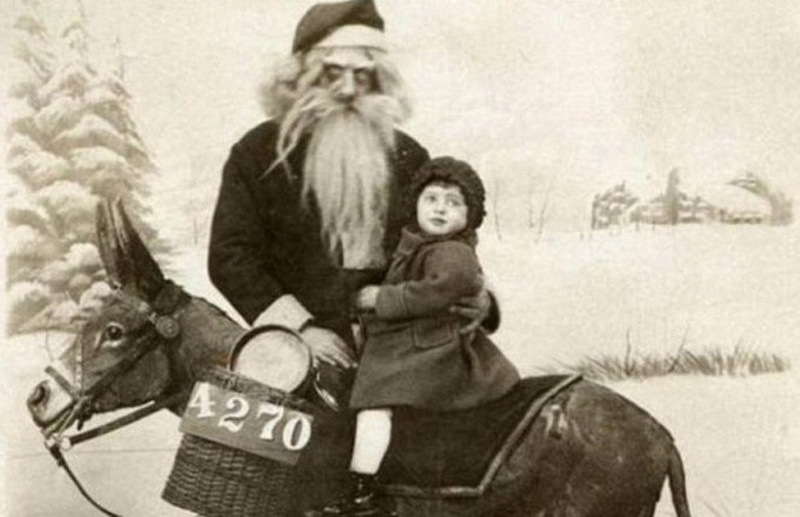 #11 Something is seriously wrong with Santa. 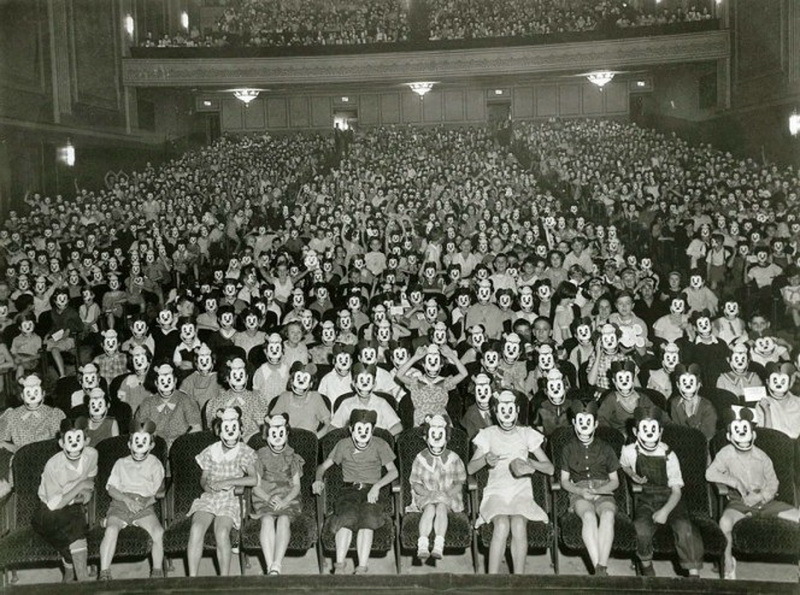 #10 There is no good reason why the Mickey Mouse fan club should look this much like an evil army. 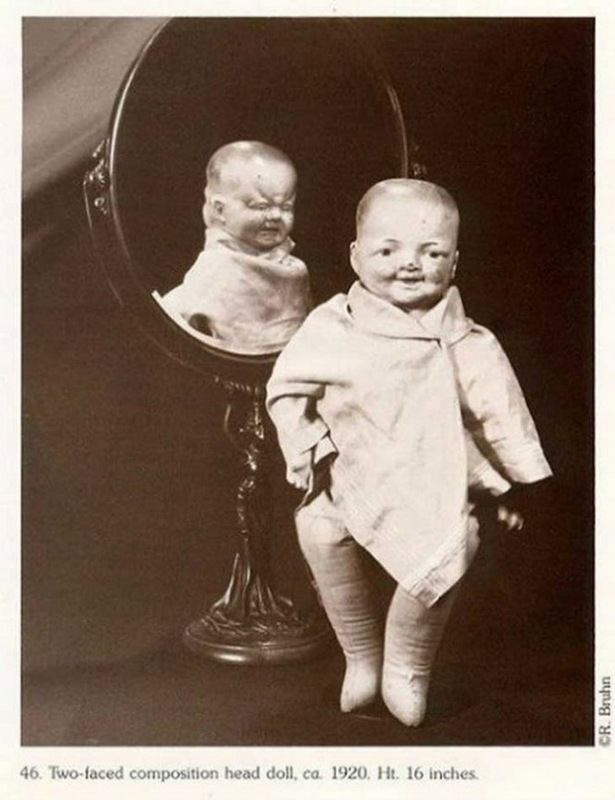 #9 Dolls shouldn’t have more than one face. In fact, nothing should. 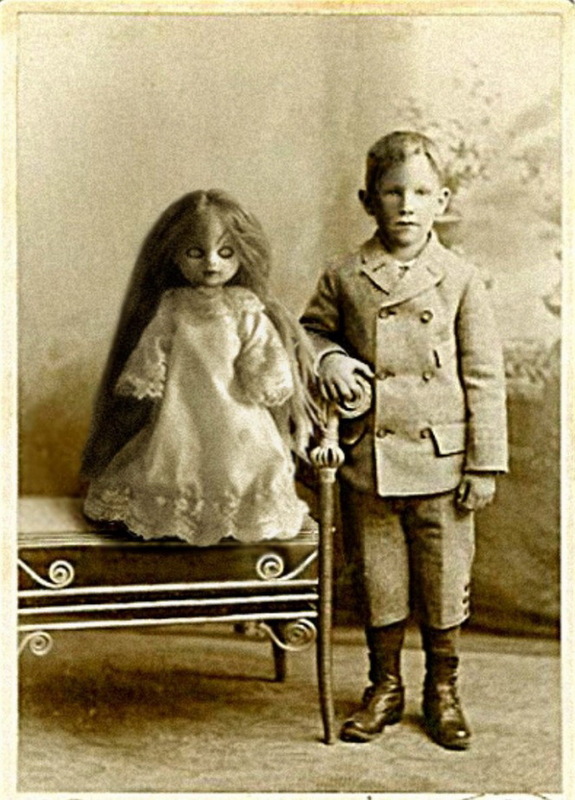 #8 Did someone purposely make the doll look that evil? 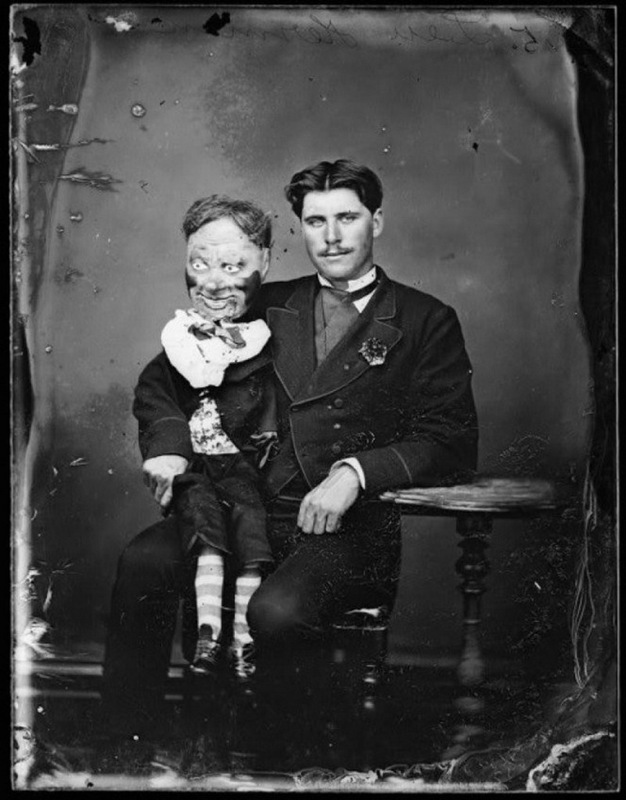 #7 It looks like that ventriloquist got into regular fights with his dummy. 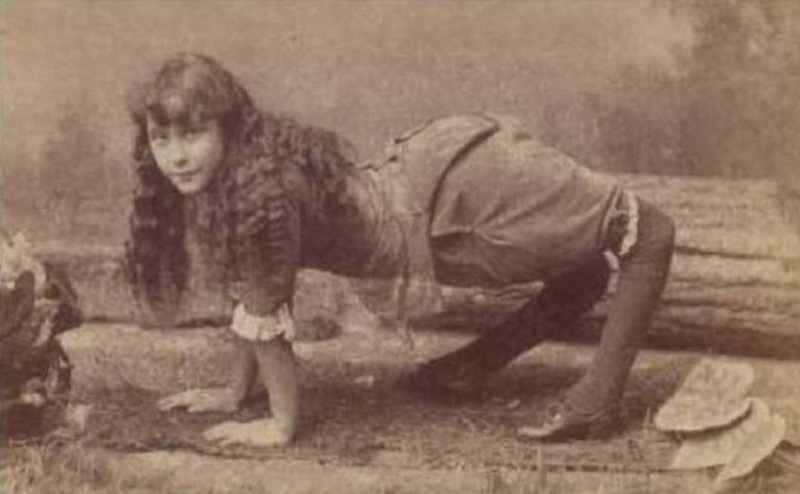 #6 That sideways glance really drives home the creepiness factor. 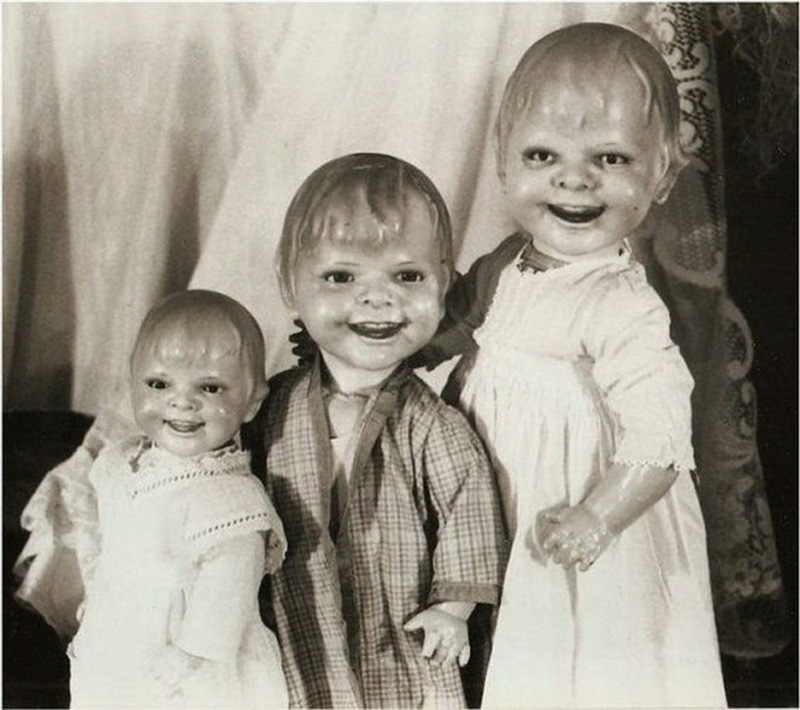 #5 It’s starting to look like toys used to be scary more often than not. #4 What’s worse than a wolf in sheep’s clothing? 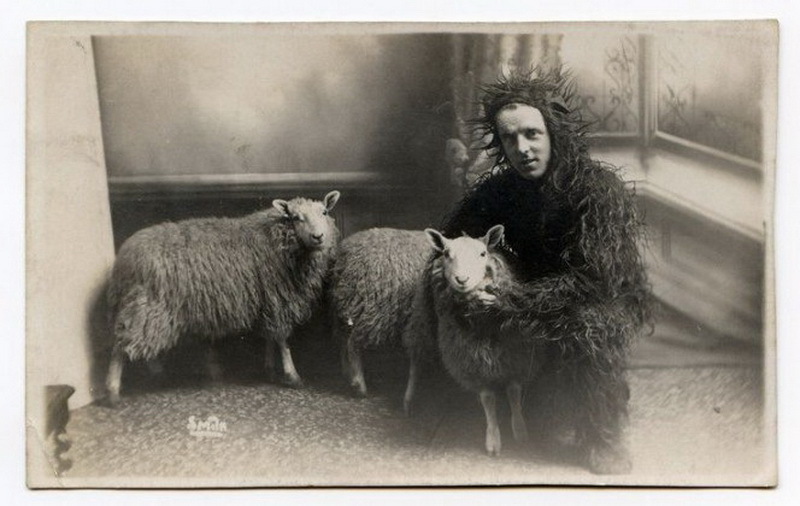 A man in sheep’s clothing. 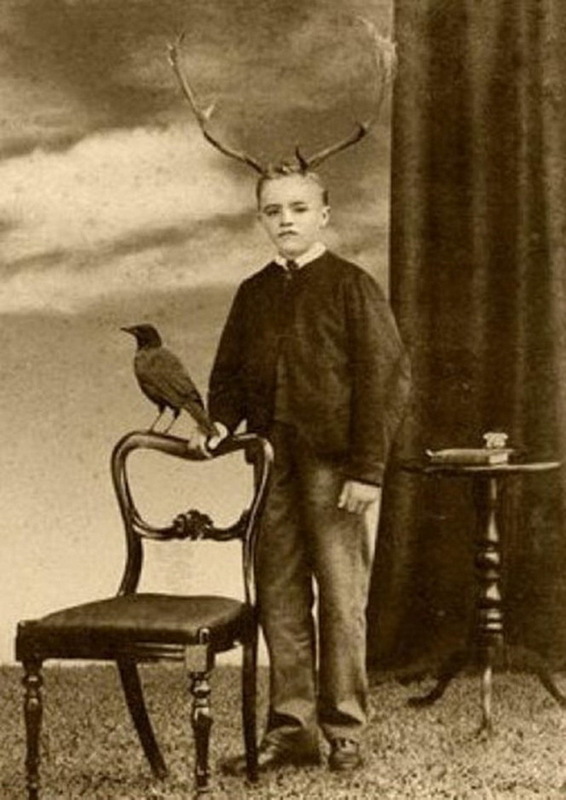 #3 Why is this boy wearing antlers? 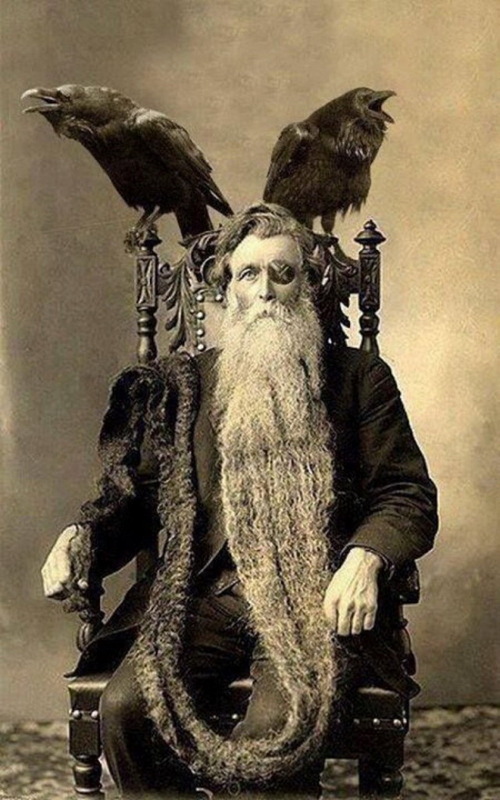 #2 This is an art piece depicting the Norse god Odin with his ravens, Hugin and Munin. It’s… pretty intimidating. 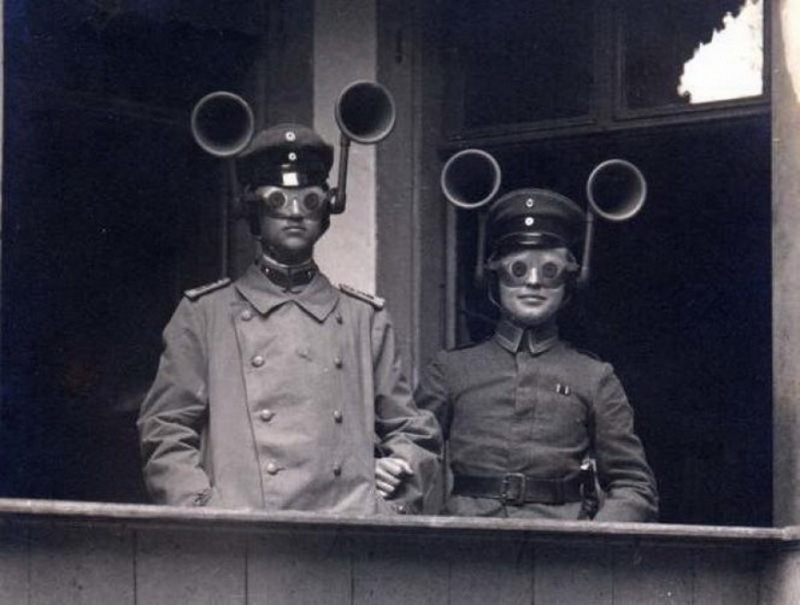 #1 These devices were used to amplify one’s hearing ability, but it makes people look like sci-fi supervillains. So, now believe or not? Well, it’s completely up to you! But, those were really creepy! 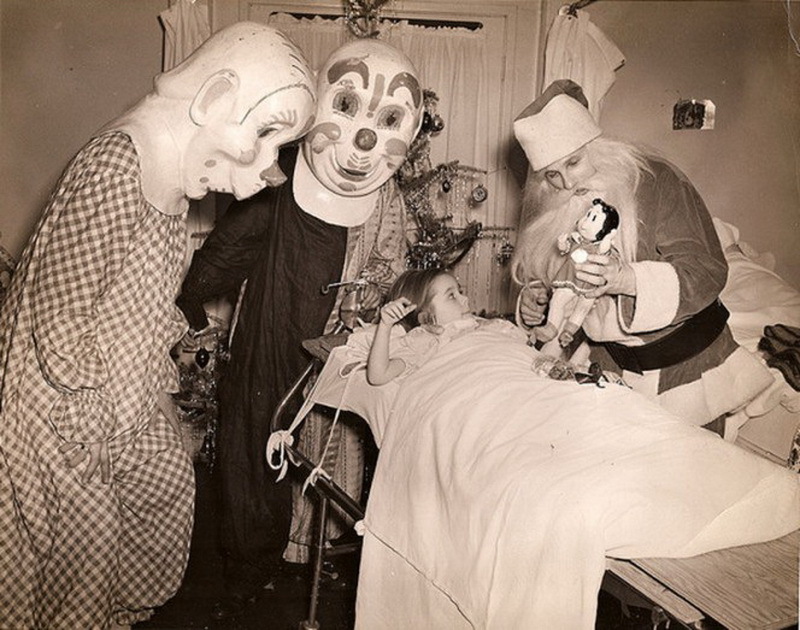 It seems that the past was truly nightmarish!